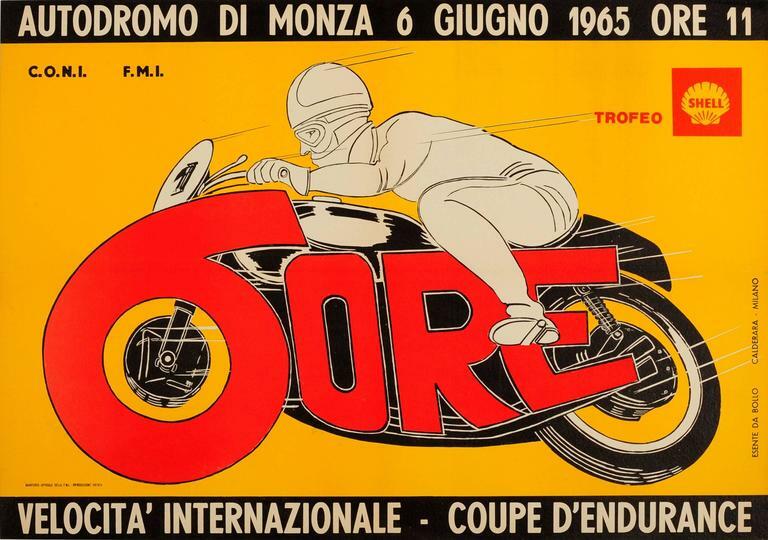 Original vintage sport advertising poster for the 6 hour international motorcycle racing endurance cup at the Monza race track on 6 June 1965 sponsored by Shell - 6 Ore Autodromo di Monza 6 Giugoni 1965 Vellocita Internazionale Coupe d'Endurance. Dynamic illustration of a motorcycle rider on a motorbike featuring the number 6 as the front wheel and the word Ore as the body against a bright yellow background with the text above and below. Horizontal. Published by CONI and FMI. Very good condition, restored tear on right margin, backed on linen. 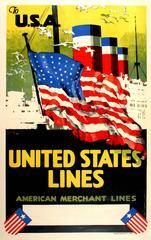 Very good condition, restored tear on right margin, backed on linen.